Hello and welcome. It’s been a while since I had a formal update, but a lot of good things have happened. I’ve recently started a new job, as a narrative designer with Crystal Dynamics, which means that I now basically write and make things up for a full time living, and will be helping to tell stories in a franchise that I’ve loved for over a decade, Tomb Raider. I’m still a little starry-eyed about the whole affair. Additionally, I’ve completed a couple of longer pieces I’m quite proud of, one of which should see publication very soon. Here are some of the recent and upcoming releases I have planned in the next few months. 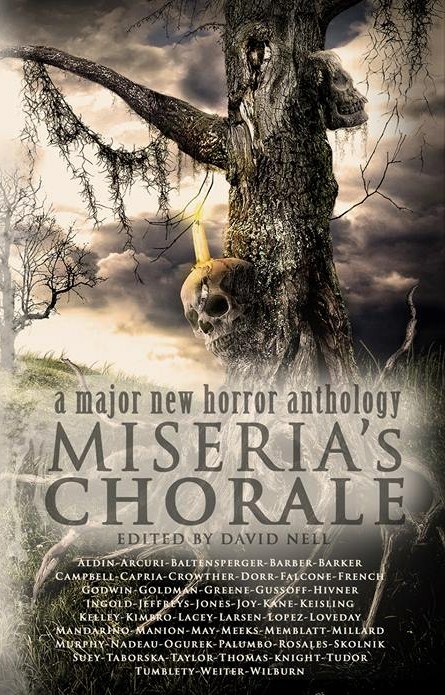 Miseria’s Chorale, a new horror anthology edited by David Nell, is now available from Amazon. Miseria’s Chorale contains my story “One”, as well as many many more stories from authors I have previously been honored to share pages with. Click through for more recent releases and announcements. The Again magazine recently released their 12th issue, which features a revised version of my story “East”, with illustrations by Mike Bonsall. 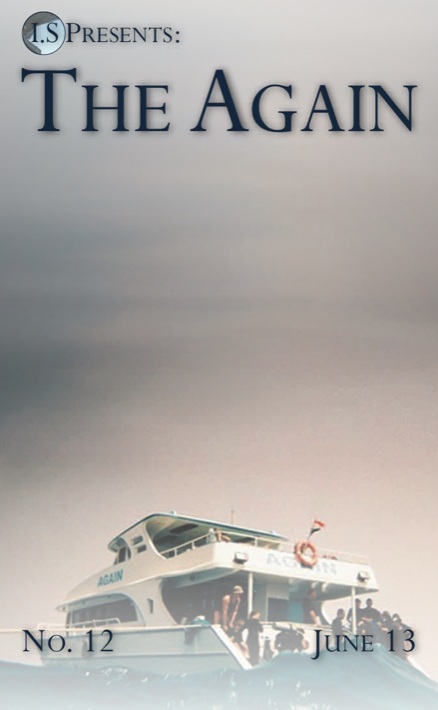 The Again is a free online magazine, also downloadable as an epub for your various readers. 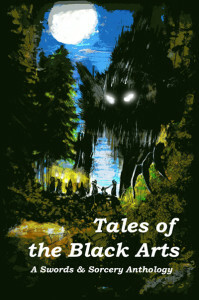 The indomitable Hazardous Press is set to release “Tales from the Black Arts” an all new anthology of Dark Fantasy. My story “Digger’s Lament”, about an estranged pair of former grave-robbers and treasure hunters who are forced to reunite when one of their last finds proves troublesome. The world of “Digger’s Lament” is one I’ve been working on for a while, and this story was a fun side-entrance to a much larger mythology I hope to commit to the page in a later novel. 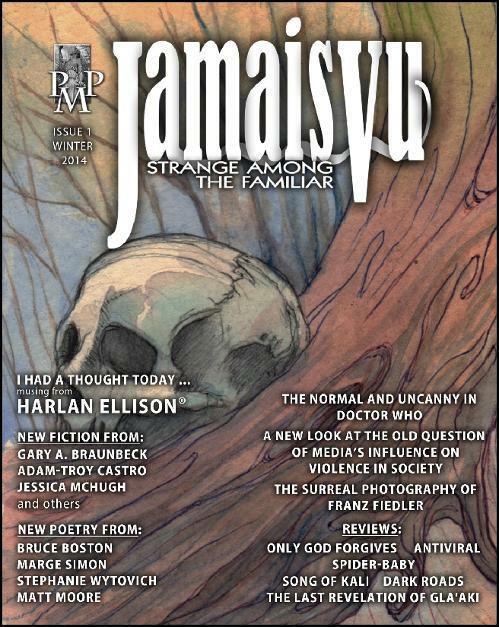 In January, Post Mortem Press will launch their new magazine: “Jamais Vu: Strange Among the Familiar”. The magazine will feature new fiction from Gary Braunbeck, Max Booth III, and a column by the legendary Harlan Ellison. I’m excited that a leaner, tighter version of my story “Shiva” will share the pages with such good company in the premiere issue. If you preorder the magazine, you’ll save a dollar off the cover. 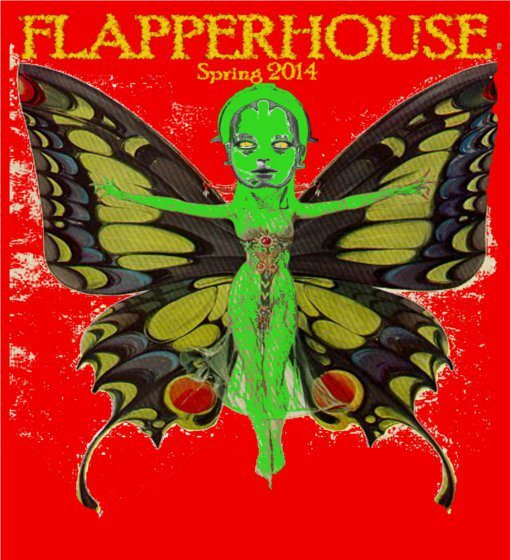 And finally, later in 2014, friend-of-the-site Joe O’Brien will launch his fiction magazine, Flapperhouse. I’ll be contributing either a torturer/torturee psychodrama or a science fiction horror story about a lost generation ship. Whichever one Joe likes best. Head on over to the site to get a feel for Joe’s aesthetic, and to sign up for future updates. Early in the new year, I’ll do a brief year in review, as well as update you on some of the legendarily long-in-development pieces like “Runner B” (still exists), “Green Tunnel” (Gonna happen), and “The Beast” (Did I ever even mention this one?). Until then, happy holidays, and all my best. I can’t believe you have gone back to your unethical career as a game developer! You know as well as anyone else that those soul sucking thieves are among the worst people currently walking the face of the earth! I hope you enjoy spreading lies about DRM and the scam of ‘Release Now, (Maybe) Patch Later’. And Tomb Raider? That has to be the most vapid and empty story ever told in video game format. You would be more creative writing copy for advertisements on McDonald’s bags. Hey there, firstly, I appreciate your candor and honesty in all things, so I’ll try to respond in kind. I never actually left game development after leaving Lucas. I was employed at a company working on projects I never felt quite comfortable with (but with people I respected and liked), so chose not to discuss it. This recent move means that I am no longer involved in the publishing side of the equation, which is where I believe most of your criticism lies. Having worked on the publishing side both recently and at multiple studios, I believe that the truth of it, like all things, is more complicated than we like to make them. I have similar ethical concerns, which one of the reasons I moved recently, but for the most part, individuals in these organizations are just as passionate about games and fun as any of us. However, the greater demands of profit and business growth lead us all down some dark paths of poor decisions with little afterthought. At my new position, I won’t be dealing with any of that. My job now is purely story related: dialogue, mythology, and world building. I appreciate your feelings about the property in question, and can only offer that I enjoy the direction the franchise has taken in the last year, found the last game to be have uncommonly effective character arc (something almost utterly lacking in games), and am personally happy to be involved. You won’t hear me talk much more about it here, because that’s not what this site is about. All that said, unfortunately, the economics of having a family in a major metropolitan area means that I will likely never make a living from writing my own work. I had a great year so far, and sold nearly a dozen stories, including my first pro-level sale, but the returns were less than 1000$, not enough to cover a month’s rent. I’ll be writing more about the economics of short fiction in the year end post, but employment is for the time being, a necessity. Given the less than myriad options, I’m quite happy where I am for the time being. It’s much more fulfilling that writing marketing copy, which was, perversely, the most fun I had at my last job. If you can ignore where I spend my nine-to-five, I hope you can see the positive: having a purely creative job means that I already write more. Before, coming home from a job that I didn’t like meant that getting into a writing headspace was nearly impossible. Now, I’m able to start writing quicker, have more ideas percolating, and tend to stay in motion. So, I hope you can see the benefit for me and my output in this switch, and I promise you won’t hear much more about it from here on out.